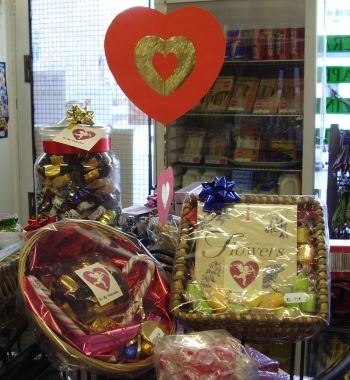 Treat your loved one to a Valentine gift from Anne’s, Horesfair News. 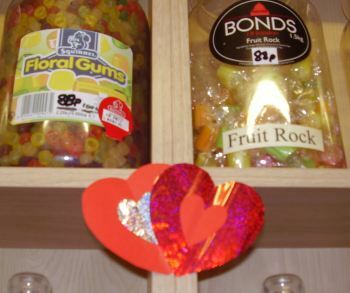 You can choose from our extensive range of traditional sweets and chocolate. CINNAMON – Cinnamon comes from the bark of the cinnamon tree and has a sweet nutty flavour. It is used in savoury and sweet dishes, pickles and chutneys and in spiced drinks. The Germans use it in beer soup. 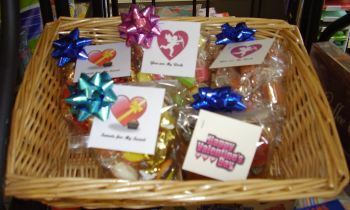 We stock cinnamon balls a popular hard boiled sweet. CLOVE – Clove is more pungent than cinnamon but has similar uses. It is a tiny dried flower bud picked before it opens. The tree from which it comes grows within 10 degrees of the Equator and clove is at its best near the ocean. The clove derives its name from the Latin clavus or nail because of its nail like shape. This makes it ideal for studding meat such as gammon. Clove oil contains a mild anaesthetic which can be used to alleviate toothache. At the shop and online we stock clove rock, old english clove, a boiled sweet and it is also found in winter mixture. GINGER – One of my favourite spices in the kitchen as it is so versatile. It can be used fresh, dried or ground, pickled and crystallized. It provides health benefits as it has anti bacterial and anti inflammatory properties. Chocolate coated ginger and crystallized ginger are available weighed out or in gift boxes. VANILLA – Vanilla is a pod of a tropical climbing orchid. Fresh pods has no smell. They are picked unripe and cured in the sun for up to a year until the vanillin is released and the pod turns black. Originally from Central America the vanilla plant is now also grown in Australia and Africa.Vanilla essence is strong and only a few drops are needed. Vanilla extract is milder and can be added the half teaspoon. Apart from cooking and confectionery vanilla is also used in perfumiery. Properties of vanilla include digestive and as a stimulant.